A good set of pliers can cost a bundle. And if you have more than one pair as most professionals or DIYers do keeping them organized and readily accessible is important. These plier holder hooks are not only easy to hang or move around on a pegboard, they always hold the pliers securely in place. Keep a variety of items off the floor with the Gladiator 30 in. Solid Shelf. This heavy-duty steel shelf can hold up to 50 lbs. It can be easily hung and repositioned no tools needed. Friction lock tabs keep it secured to separately sold Gladiator Wall Systems. A lifetime limited warranty provides peace-of-mind that it is built-to-last. Pegboard Plier Holder (4-Piece) A good set of pliers can cost a bundle. And if you have more than one pair as most professionals or DIYers do keeping them organized and readily accessible is important. 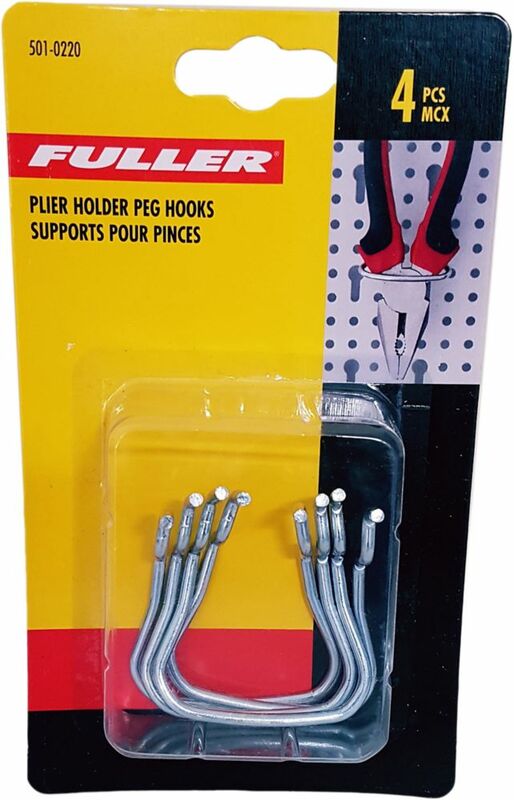 These plier holder hooks are not only easy to hang or move around on a pegboard, they always hold the pliers securely in place.